Answer: The prohibition is only for electronically powered spinning wing, or spinning wing simulated devices. There are no prohibitions to any other electronic devices which flap wings, allow the decoy to swim, feed, or cause movement other than the spinning of a wing or wing simulated device. How to pay an old ticket? Answer: If your friend left the state without paying the fine for the ticket he received, then the court probably issued an arrest warrant for him. Fort Ross is in Sonoma County, so he should contact Sonoma County Superior Court as soon as possible. If contacted by law enforcement prior to doing this and it is determined there is an active warrant, your friend will be cited or arrested for not taking care of his ticket. Game wardens also lead-free in Condor Zone? Answer: No, the lead ban pertains to hunters. It is illegal to use, or possess with a firearm capable of firing, any projectile containing more than one percent lead by weight while taking or attempting to take big game or nongame within the condor range. This includes centerfire as well as black powder/muzzleloader and rimfire projectiles. Since wildlife officers are not hunting while on duty, their firearms may contain lead ammunition in the condor range. Any people who are not taking or attempting to take wildlife, including CCW holders, may use or possess lead ammunition. Woodpeckers are driving me crazy! Answer: No, woodpeckers are a nongame species so you will have to find a non-lethal method to haze them away from your house. You could try hanging shiny mylar tape like they use in orchards to scare the birds away from the fruit or try posting an owl decoy. You might also try covering the wood with metal mesh hardware cloth. This is a USFWS question and they do have a permit process for a number of species under federal depredation provisions unless designated a fully protected bird. For additional tips and information, please check with the University of California Integrated Pest Management Program online at http://www.ipm.ucdavis.edu/PMG/menu.house.html#VERT. Answer: Yes, you may travel through a state marine reserve with catch on board as long as no fishing gear is deployed in the water (per Section 632(a)(8) on pg. 52 of the current Ocean Sport Fishing regulations booklet). Deployed means that the gear (hook and line) is in the water. If you wish to remove all doubt, you could remove the hooks, but that is not required by law. Just make sure your gear is out of the water and secured before transiting a state marine reserve, and you will be abiding by the law. 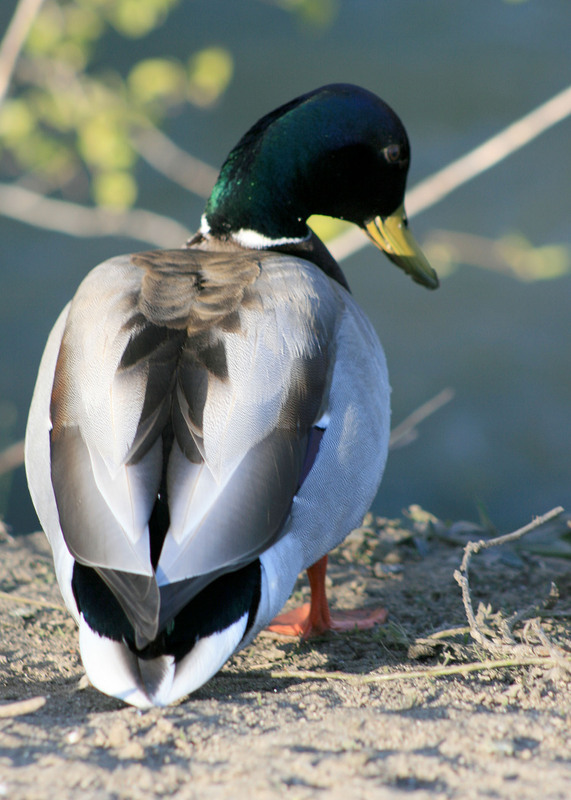 This entry was posted in Abalone, Decoys, Fines/Penalties/Citations, Firearms/Ammunition, Marine Protected Areas (MPAs), Nuisance Animals & Pests, Uncategorized, Waterfowl and tagged ammunition, Duck Hunting, firearms, nuisance wildlife, ocean fishing, regulations. Bookmark the permalink. Is it legal to carry a rifle and shotgun while hunting coyotes and bobcats. I hunt in the lead free zone, I use lead free bullets. If legal to carry both I would use steel shot.